The Mantua Police Department is moving forward with a new project to fund a Narcotics Canine Unit. The Police Department currently consists of a full time Police Chief and eleven part time police officers. Due to budget cuts in recent years, the department experienced a reduction in force from four full time police officers to just one. And, due to the loss of business and manufacturing facilities in the Village, the staff has had to make cuts which has put a strain on the department and village. Criminal activity in Mantua is on the rise. The narcotics usage in Mantua is on the rise. Criminal arrests for possession of controlled substances and drug paraphernalia have risen approximately two hundred percent over the past three years. In the last year, the County Drug Task Force has performed search warrants and major arrests on four homes in Mantua Township which surrounds Mantua Village. Currently, there are narcotics canine units in seven of the twelve police departments in the county. However, these teams are not always available to officers in the Village of Mantua due to travel time and scheduling difficulties. The idea of Project Stop the Drugs is to initiate and fund a narcotics canine unit within the Mantua Police Department. A purchase of a dog that is trained in narcotics, tracking, and searches will enable an officer with the Mantua Police Department to increase enforcement activity. The dog and its trainer will be used not only for enforcement purposes but, also to increase police awareness and visibility. The canine team will be sent to the public schools to not only perform search activities for controlled substances within the building but, also a public relations and education tool. The team will be made available to other neighboring police departments and agencies for enforcement activities. The team will be used during searches of the schools on a regular basis. The purchase and funding of a canine team consists of two different parts. The first being the animal and the basic equipment needed to initiate the project. The second part is to completely provide a vehicle for transportation for the dog and handler. The Mantua Police Department is seeking donations to fund a fully trained police dog. Any donation will help fund this important purchase. Persons with questions can contact the Mantua Police Department at 330-274-2251. Donations to this program will be used to purchase and equip a fully trained German Shepherd Police Dog. Donations can be made by contacting the Clerks Office at Village Hall at 330-274-8776 or the Police Department at 330-274-2251. Your help is needed. The police department is proud to serve the community of the Village of Mantua. The village is one square mile with a population of approximately 1100 citizens. Within this area is a multitude of diversity for a small town, with a high school, middle school within our boundaries. The village also has a commercial business area with several industrial manufacturers. 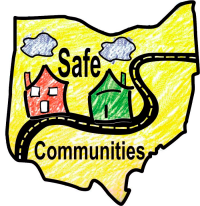 With the diversity of our community the Police department has taken an active role in providing a safe and prosperous community in which to live and work. The department is comprised of professional, dedicated, highly trained public servants committed to excellence. Providing traffic services and enforcement for our streets to keep our roadways safe. Emergency response services and support services to the public and the criminal justice community. Investigation of criminal activities and traffic crashes. Education services to our children and adults. Communication Services for the operations of the Village Police, EMS, and Fire Services, with support to Village Service Department. The principles which this department follows is based on the community needs and their acceptance of our actions. Serve mankind, to safeguard lives and property. To protect the innocent against deception, the weak against oppression or intimidation, and the peaceful against violence of disorder. Respect the Constitutional rights of all to liberty, equality and justice. Duties are completed with a sense of urgency. Teamwork and cooperation with other agencies in the criminal justice helps accomplish mutual objectives. Task completion and follow-up is essential. Fairness and non-bias in treatment of the public is of utmost importance. Support is demonstrated for peers and subordinates through the sharing of knowledge and skills. Strict adherence to the Oath of Office and Code of Ethics guides our activities. Willing to accept responsibility for our actions. Respect for others is always demonstrated. Adherence to written directives is expected. Input and involvement of employees is encouraged. No department can operate without values, and these values are needed to assure the respect of our community and our ability to perform our task. The Police Department history finds we have come from a part time Village Marshall established 1898 to full service Police Department, with 1 full time Police Officer, the Police Chief and 10 Part-time Auxiliary Officers. In addition to their support there are 1 full time civilian, and 5 part time civilians who operate the Communication Center. The Police department has recognized that with calls for service increasing each year, and in order to provide a professional service to our community, organizational changes had to occur within. To accomplish this the department hired a sergeant who has taken over patrol functions and has the authority in absence of the Chief of Police to administrate department issues on all levels as allowed by The Ohio Revised Code. Second, the department formed the Detective Bureau referred to as DB, to manage caseload, follow-up and to provide a highly experienced officer with investigative background. DB supports the road officer in handling the investigation through all aspects of the case. Officers assigned to the DB have been provided additional training outside the scope of general road patrol. The supervision of the DB is the Sergeant's responsibility. Third, the department formed the Bicycle patrol unit. The officers assigned to this unit have provided support to the road officers. This unit has become a more personal unit to the public. It allows the officer to be seen in a different light, the officer is more approachable by the public. 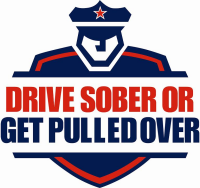 Fourth, the police department participates in a countywide Driving Under the Influence of Alcohol and/or Drug task force. Additional officers are on duty for the apprehension of intoxicated drivers and to remove them from the roadway. The task force sets the dates of selected enforcement. The task force is funded by grant money. 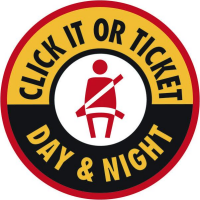 Fifth, the department has joined with more than 600 police departments in the State of Ohio and all of Portage County police departments with zero tolerance in the enforcement of Safety belts. The department recognizes the lives saved and reduction of injuries that Safety belts provide the motorist public. Along with this enforcement comes safety belt education provide by Portage County Safe Communities. Sixth, the Department has extended dispatch services to Hiram Police, Fire and EMS's services, which has increased refunding for the Village of Mantua and has consolidated those services to provide better service to the public. The Village of Mantua has many issues before them. The directions and decisions made today will reflect on what the future of our community will be. Our lead will decide whether the Village of Mantua will be the hub of the surrounding communities or if that development will be outside our boundaries. Additional fund is needed to maintain the services that the police department provides. With the cuts in funding that has occurred is the direct result in man hours cut and service to the public. Although this is a brief outline of your police department and its functions, the concerns and request of our community always guide department changes. As we move towards a new tomorrow, we keep an open mind, never over looking that we are public servants. Working together for a better tomorrow.